Many thanks to Anders for hosting this week. Good theme for this time of year. It will be interesting to see how folks interpret the theme. Hope everyone had a great Christmas and wishing everyone a Happy New Year!! 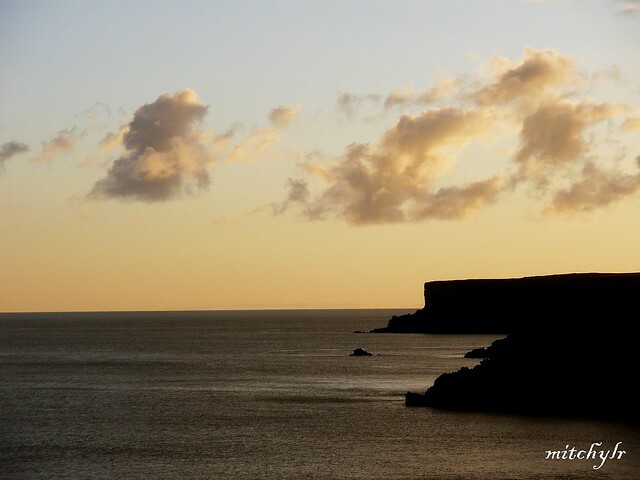 All my shots were taken on New Year's Day 2010 on a walk along the Pembrokeshire coastal path. 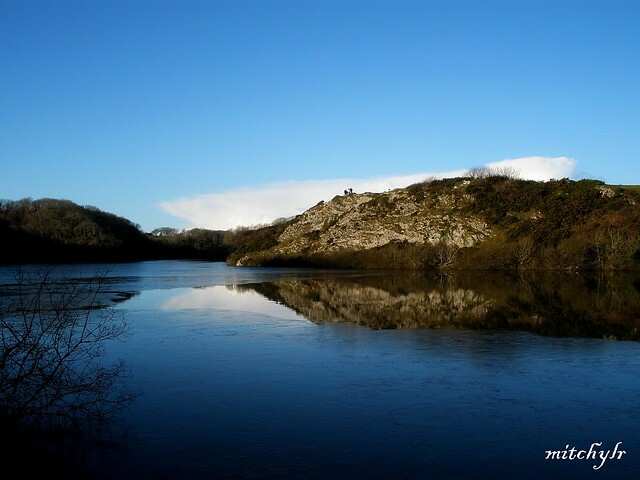 1) Partly frozen lake at Bosherston. 2) Nice Ice baby!! 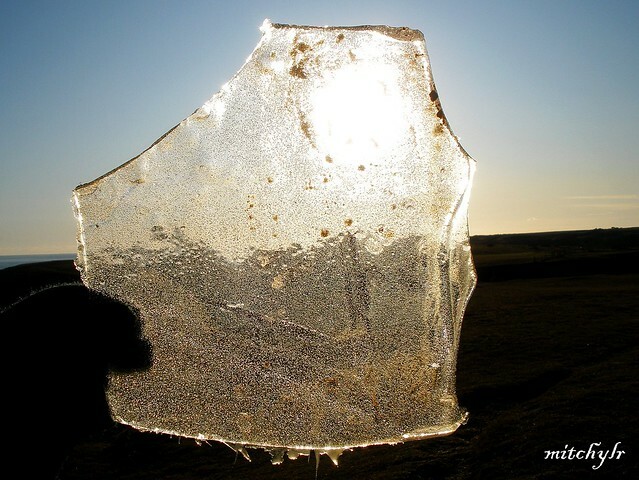 I broke this piece of ice out of a water-trough. The troughs provide water for the semi-wild ponies that graze along the coastal path. 3) The Coastal Headlands, at dusk. 4) A Pembrokeshire pony. These semi-wild ponies graze along the coastal path. 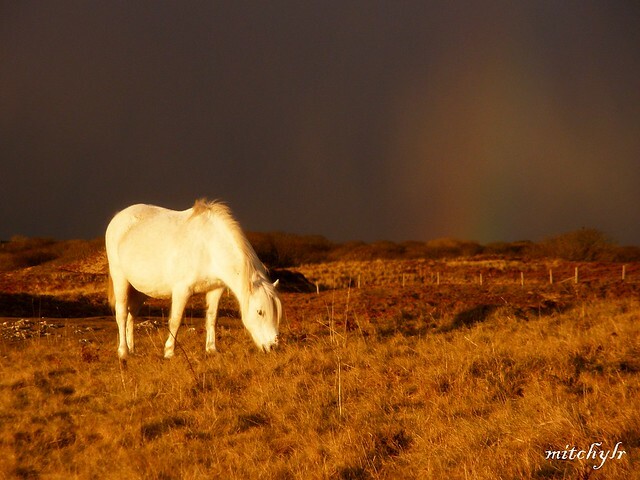 This was a unique shot, as there was a snowstorm on one side (behind the pony) and bright sunshine on the other, creating a rare 'snowbow'. Exquisite banner shot, Mitch. Wonderful landscapes and I especially love the pony. The light is incredible. Like the ice, too. Lovely shot of the horse grazing.